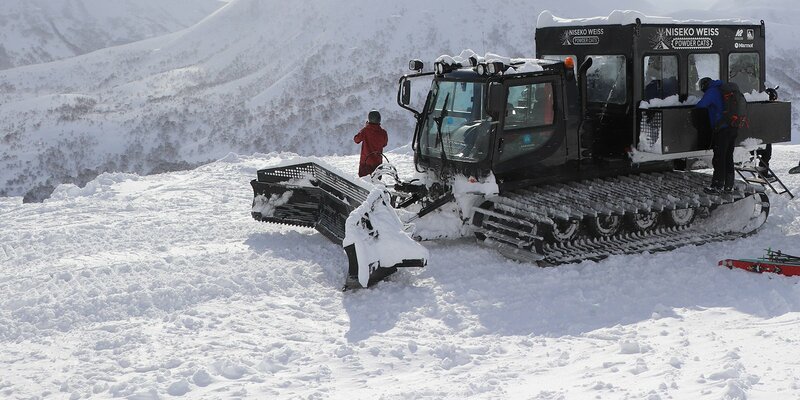 Weiss CAT Tours provide a relaxing deep powder experience. The terrain is suitable for intermediate powder skiers and riders, or advanced guests who want an exclusive adventure. Please check our Off-Piste Ability Chart. Groups are joined by several guides to give advice on the best spots on the mountain and ensure your safety throughout the day. A trained photographer will also take part in the tour and provide a link to the day's epic photos for you to keep as a memory. NISEKO WEISS POWDER CATS is operated by Niseko Hanazono Resort. 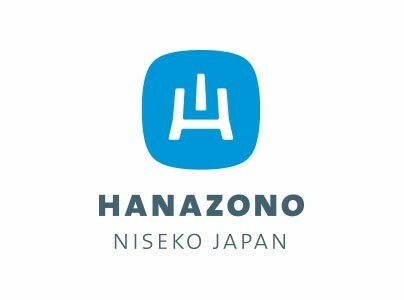 Hanazono has all the experience and expertise of the ski resort behind your cat ski tour. Mt. Weisshorn was once a ski resort but currently not used by anyone but us. This means the entire mountain is available for private use for parties up to 12 people! The machine we use has a specially-made cabin that can fit up to 12 guests, keeping them warm during the ride up. We also have snacks and water prepared to satisfy your hunger and quench your thirst. *Lunch will be served outside with a beautiful view! If the weather is not pleasant, then lunch will be served in the CAT. A variety of sandwich options will be available to choose from on the day. We recommend bringing your own packed lunch should you have dietary requirements. There will also be vegetarian and gluten-free options. Snacks and bottled water are available at any time in the CAT. Helmet - Helmets save lives. Helmets prevent injury when falling or crashing, and even protect from wayward tree branches. We strongly recommend all guests wear helmets. Goggles & sunglasses - There will be no hike-up on our CAT tour so a pair of sunglasses is not necessary. It's recommended you bring along a spare set of goggles. Sports Camera - You are more than welcome to bring these along with you. Share your powder day with friends and family! All safety equipment is provided. 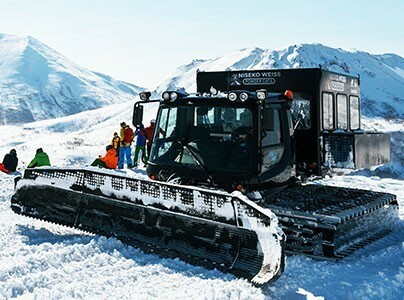 Bags and/or backpacks with snacks, drinks, cameras etc can be kept in the snow CAT during the tour. Do I need powder specific skis or snowboard? Regular skis or snowboards are fine for exploring, but if you have come exclusively for the backcountry in Niseko, we recommend a powder ski/snowboard. SKIERS: An 80mm waist and over all-around ski is fine, but why not try a set of rocker skis? Rocker skis provide improved flotation on Niseko's deep powder, they turn quickly (handy when in trees) and stop swiftly. SNOWBOARDERS: You might struggle if your snowboard has a regular camber and freestyle stance setup. A 5-10cm setback is generally recommended. Similar to skis, if you are here for powder snow, we recommend you try a snowboard designed for powder. 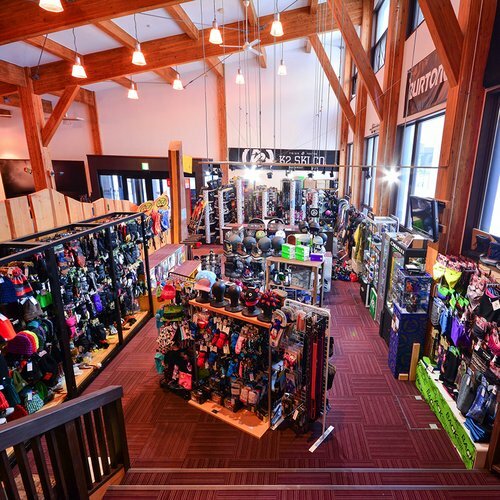 NISEKO SPORTS EQUIPMENT HIRE: Talk to our friendly staff at Niseko Sports Equipment Hire at Hanazono 308, Hirafu or The Vale Snowsports for advice and more information on powder skis/snowboards. Niseko Sports has a wide variety of skis/snowboards, including BURTON, Ride, K2, Line, Rossignol, Faction which all have a range of popular powder skis/snowboards. Niseko Sports offers the convenient option to switch your ski/snowboards, or even skis to snowboard or vice versa as many times as you like. 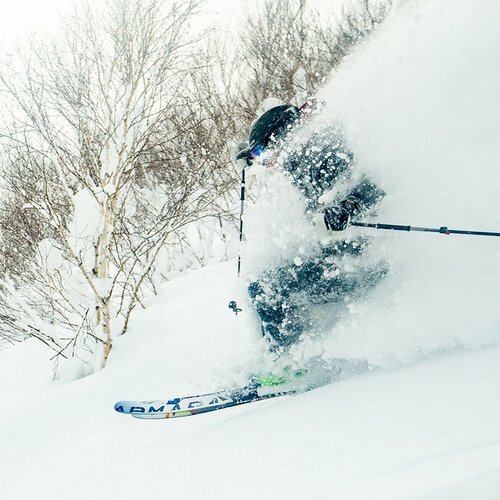 When is the best time for powder in Niseko? Niseko's winter season runs from late November to Early May, the peak powder period is typically from late December through February, although this varies every season. An annual average 4-meter snow base ensures great Spring conditions from March onwards. Start of Season: The first snowfalls of the year in Niseko are usually in late October through to Early November. As temperatures drop and storm cells intensify throughout November, the snow begins to fall to lower elevations, blanketing the entire mountain white with snow. As snowfalls increase, and a base is formed the upper part of the resort becomes skiable - the beginning of the ski season. Winter storms pushing out of Siberia become more frequent from early December, covering small bushes and Sasa grass, this is a surprisingly good time to visit Niseko; with relatively few skiers/riders you will find powder stashes almost everywhere within the resort boundary. High Season: Most backcountry gates open around the Christmas period. This time through to mid-February is the absolute best time of the season for light & dry powder. If you wish to ski/snowboard deep and dry powder like you see in magazines or DVDs, we assure you, this is the best time of year. Family visitors leave Niseko around mid-January and in their place, powder enthusiasts from all over the world flood into Niseko. This time of year, although snow quality is particularly good, the lifts can be frequently affected by the weather. When upper mountain areas are closed due to weather conditions, you still can enjoy Niseko's powder line riding lower lifts. After February, bottomless dry powder gradually changes to creamy, slightly heavier powder snow. Spring Season: The weather usually starts to become stable in March, offering good conditions for backcountry, with more sunny days and better visibility, hiking up to the peak is a joy. In April, snowfall decreases but the snow base is still very high. Skiing / riding down through corn snow on a warm spring day is exceptional. Gates will close if there is a high risk of a slab avalanche. What are the runs like? You will be able to ski an average of 8-10 runs in one tour. The steepest run would be 30 degrees and an average would be 20 degrees. The maximum vertical descent is 450 meters. Though the amount and quality of snow here is magnificent, the altitude is not high so there are no worries of thin air. The CAT base, where the tour would begin, is located 450 meters above sea level and the peak drop-off is 930 meters above sea level. Hanazono Powder Guides or Niseko Weiss Powder Cats? Hanazono Powder Guides is a faster-paced service designed for experienced skiers and snowboarders. 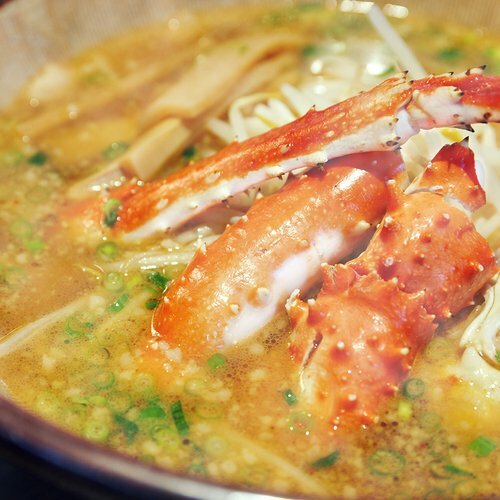 However, a Hanazono Powder Guides Private Tour can be customized to accommodate beginner powder skiers or a group of people with different abilities. What makes Niseko Weiss Powder CATS unique is that you don’t need to rush or worry about getting fresh tracks. The entire mountain is shared with a maximum of only 12 guests (plus our guides!). 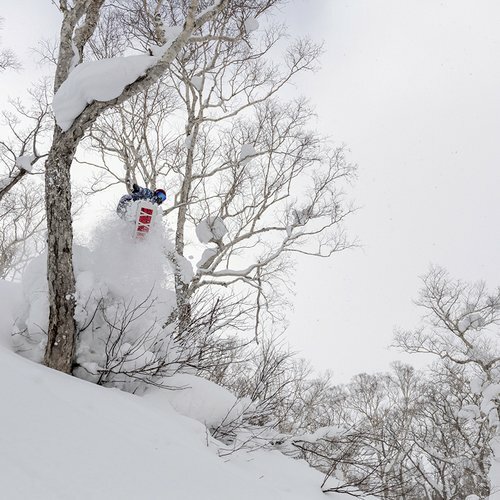 The terrain is not as challenging as what Hanazono Powder Guides can offer, so Weiss CAT Tours are suitable for intermediate powder skiers, or advanced guests who want an exclusive and relaxing adventure. Please check our Off-Piste Ability Chart. If you are a powder hound that just can’t get enough of Niseko's famous snow, you should request Hanazono Powder Guides' “Powder 3 Dayz” program! 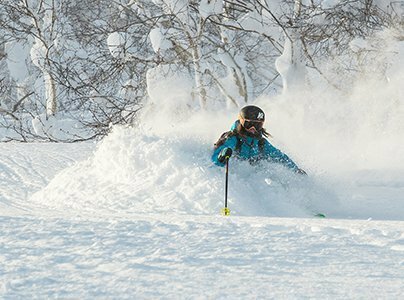 Choose any 3 days during your stay in Niseko to join any of Hanazono Powder Guides tours. Enjoy exclusive early lift access at Hanazono after a big snowfall one day, and move into the backcountry to find more fresh snow the next day. Bottomless blower pow on every run was well worth it. Door to door service! NISS was extremely responsive and patient with all of my questions through the booking process. The Weiss CAT Tour terrain is tame, which was perfect for my husband an I. I really felt safe and improved my powder skiing so much in one day. We will definitely come back to Weiss during our next Niseko trip. We joined Weiss on a beautiful sunny day with fresh snow from the night before. Perfect! The views are incredible as well, with Mt. Yotei and the Niseko resorts all visible at the top. A great experience being the only people on the whole mountain!